In November 1959 Swedish businessman, Jack Soloman Kotschack, inspired by the success and popularity of Radio Mercur off the Danish coast, decided to establish an offshore radio station to serve northern Sweden and in particular the capital city of Stockholm. He was joined in this venture by two Americans, Gordon McLendon and Bob Thompson. Gordon McLendon, amongst other business interests, owned a chain of radio stations in the USA including the famous KLIF in Dallas, where in the mid -1950s he had developed and introduced the Top 40 music and news format which is now so commonplace throughout the world. Jack Kotschack felt it essential that, unlike Radio Mercur, any station broadcasting to northern Sweden should use the medium waveband rather than VHF (FM), so preliminary technical advice was sought from one of McLendon's contacts, US Navy antenna expert John Mullaney. Mullaney confirmed that experience with the Voice of America radio ship Courier, anchored off the Greek island of Rhodes showed that a flat top antenna looped between two masts would provide a sufficiently strong signal for the northern Swedish target area. An exploratory meeting was held with advertising agencies which showed that there would be positive support for a commercial radio station broadcasting to the Swedish capital. However, the station discovered later that this initial indication of support didn't fully materialise as the agencies withheld promised big contracts in the face of pressure from the Swedish Government. It was not long before news of the planned offshore station directed at the north of Sweden reached the press. 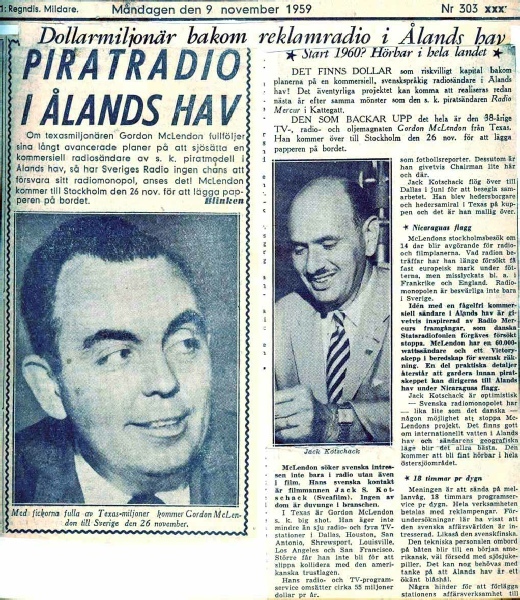 The Stockholm evening newspaper Aftonbladt first broke the story on 27th November 1959 with the headline DOLLAR MILLIONAIRE BACKS COMMERCIAL RADIO IN THE BALTIC. (see NewsStand, left). American financial backing for the project was not actually secured until January 19 60 and at the same time Jack Kotschack was appointed General Manager of the planned new station. Gordon McLendon agreed to act as a consultant, strictly on a non-payment basis for fear of jeopardising his ownership of US radio stations, while fellow Dallas businessmen Jim Foster and Bob Thompson provided finance to launch the station. A flag and registration for the station's ship (which at that stage had not even been obtained) was arranged as the result of various meetings in America and Nicaragua. President Samosa of Nicaragua personally agreed to register the station's ship and provide a flag for her to fly in return for the project's American backers completing some land purchases in Nicaragua. Three separate companies were established through which the planned offshore station - to be known as Radio Nord - could operate. 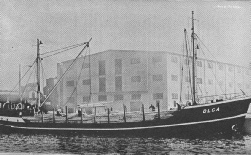 The Superior Shipping Co. (registered in Managua, Nicaragua) was to be the formal owner of the Radio Nord vessel. The main company, Nord Establishment, (registered in Vadez, Liechtenstein) would lease the ship from Superior Shipping, engage the marine crew and technicians, be responsible for programmes broadcast from the station and receive all advertising income. Airtime on the station was sold through a third company, Radio Reklam Productions AB, (registered in Sweden) which was also responsible for the actual production of programmes and the hire of on-air staff and radio technicians. The search for a suitable ship to house the station began in February 1960 but it turned out to be a greater problem than at first anticipated. A seemingly suitable ship was located - the 500 ton salvage steamer Herakles, which had been built for the waters of the north Baltic Sea and was equipped with radar, echo sounder and a radio-telephone. However this vessel was rejected because the backers thought a larger ship was necessary, preferably one with diesel engines which could be started immediately in the event of an emergency. After inspecting and rejecting a great many other ships one was eventually found in the German port of Keil. Although no one could have known at that time the vessel chosen was destined to play a major role in offshore radio history for the next 20 years. The ship was a small cargo vessel which had been built in 1921 as a three masted steel schooner the SS Margarethe. In 1927 her length and weight had been increased, diesel engines installed and she was renamed MS Olga, after her then owner Olga Koppleman. On 31st May 1960 the Olga entered the Norder Werft shipyard in Hamburg for conversion into a floating radio station. This yard was selected on advice from the Dutch offshore station Radio Veronica, whose vessel Borkum Riff had also been fitted out there earlier that year. Work on the vessel took longer than expected and on 10th August 1960 the project suffered a serious and unexpected setback. 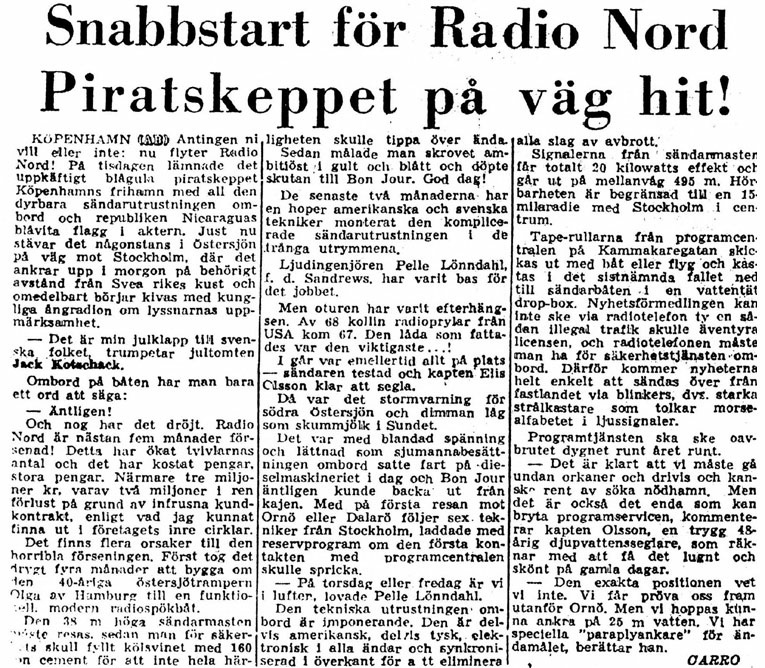 Under pressure from the Swedish Telegraph Service the German authorities informed the shipyard that the provisions of a pre-war (Nazi) law, which was still in force, made it illegal to install, repair or operate a radio station on German territory without government permission. Accordingly in October 1960 the partly converted ship, now known as the Bon Jour, had to leave Hamburg and eventually she docked in the Nordhavs-Vaerftet yard in Langeline, near Copenhagen, where the aerial mast was erected and the transmitters installed. Offices and land-based studios for Radio Nord were established in central Stoc kholm. Here two studios were constructed, one of which was capable of being divided so that facilities for three simultaneous recording sessions were available. This arrangement was later modified so the control room could also be used as a separate small studio, providing extra facilities for the vast volume of material which had to be recorded to keep the station supplied with programmes. 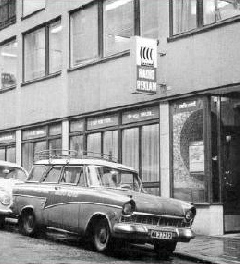 In addition there was another studio located in separate premises in Stockholm which was used mainly for the production of commercials and in-house station promotions. The studios were equipped with Ampex tape recorders and Spotmaster cassette machines for inserting jingles and commercials into programmes. 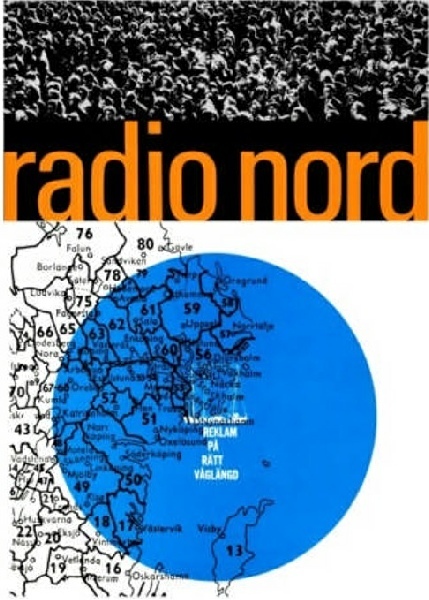 The Spotmaster equipment from America gave Radio Nord the ability to provide a slick continuity of presentation which other stations, particularly the state network, lacked at that time. 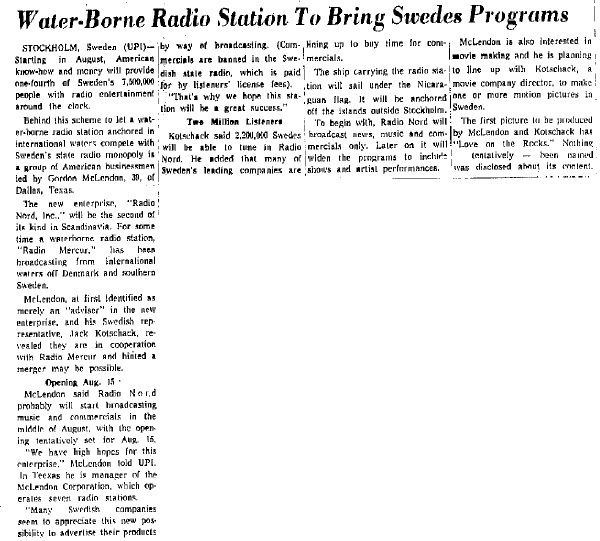 By the time Radio Nord was ready to go on the air in December 1960 the station had a staff of 25, including announcers, technicians, administrative and sales personnel. With the Bo n Jour finally fitted out she left Copenhagen on 20th December 1960 for her anchorage near Almagrundet Lighthouse off Stockholm. 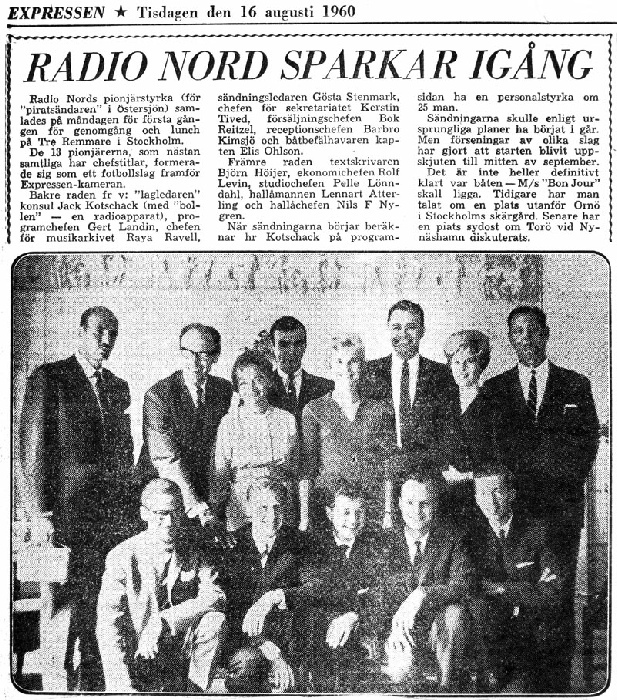 The station intended to be on the air for Christmas and an advertisement appeared in one Stockholm newspaper, Expressen, publicising the start of transmissions. However, because of press antipathy towards the station the advertisement was not placed directly by Radio Nord, but through a music publishing house - Metronome Corporation. 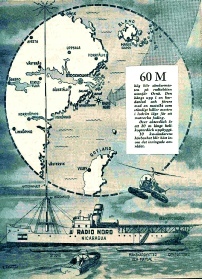 The copy read " Metronome Corporation congratulates Radio Nord on their start on 494m". 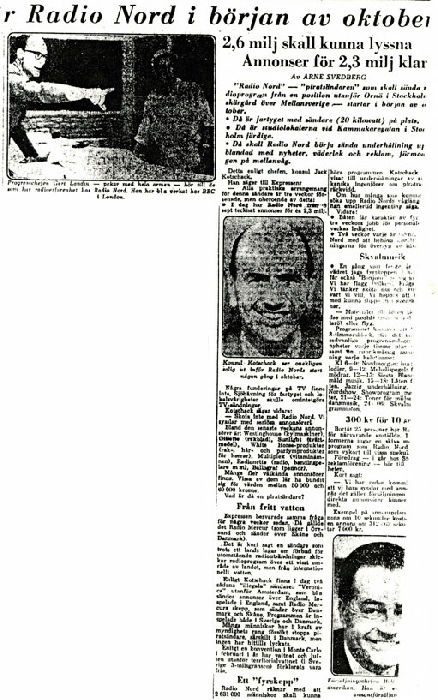 Apart from Expressen all other Stockholm newspapers refused to accept the advertisement. 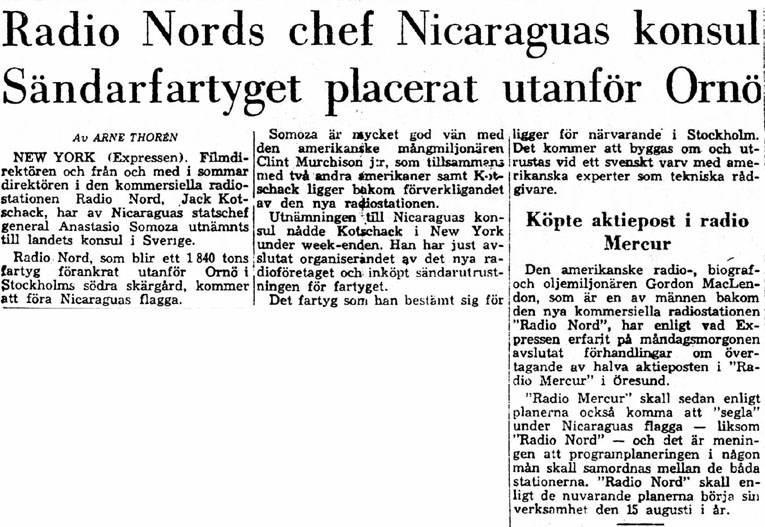 Advert for the planned Radio Nord, Aftonbladet, 14th January 1960.